Eshiko Translucent Loose Mineral Powder | World's Best Face Powder For a Magical, Flawless Finish! 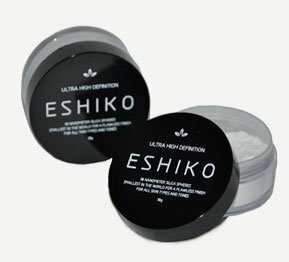 ESHIKO™ is a transparent hydrated silica face powder reduced to a size of 10 nanometer, the size of a single particle of smoke. An ordinary face powder has a size of 10,000 nanometer. Due to its size, it easily glides to the skin leaving a layer of protective light absorbing nanospheres that help make the pores smaller ang gives a smooth and radiant look. Eshiko is 100% translucent, which help prevents making the skin look pale even after excessive application. 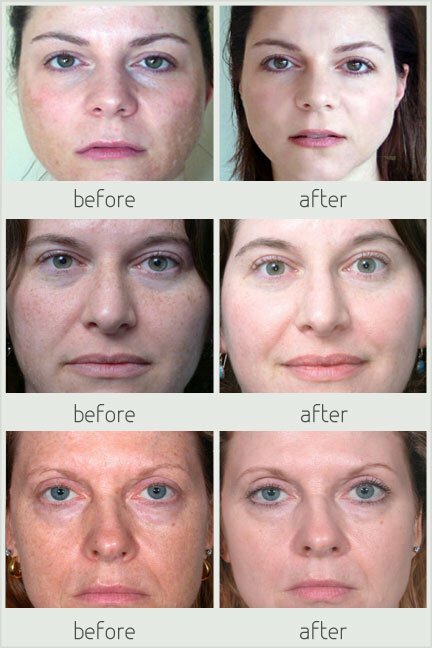 Eshiko can enhance your natural skin color and is suitable and compatible for almost all skin types and tones! ESHIKO™ absorbs oil and sweat 15 times its own weight. It is perfect for people who wants to have the perfect skin complexion even after a hard day’s work or a workout at the gym. You can use Eshiko on its own or as a finishing powder. It can be use for oily, combination and even for dry and very dry skin as well. We believe that ESHIKO™ is the best translucent face powder in the market today, If you disagree, we will return your full purchase within 100 days after purchase. Try ESHIKO™ risk free! ESHIKO™ is not your usual cosmetic powder. It undergone 10 stages of particle-bombarding to make it as small as possible. Particle size matters. The smallest the particle is, the better it covers and absorbs lighting. Think of ESHIKO™ as your second skin. It literally melts in your skin as soon as you apply it and you will know why it is the best face powder ever created after just one application. It instantly reduces your pores and gives your skin a perfect matte finish. It also makes your skin glow and it enhances your natural skin tone and complexion. ESHIKO™ is hydrophilic, it absorbs moisture and prevents skin dryness. It is lipophobic, it prevents oil and shine for hours. The powder is so hydrophilic and lipophobic that you can apply it on a sweaty and oily skin for an instant perfect complexion! ESHIKO™ won’t make your skin powdery-white like your ordinary face powder. It is transparent and translucent, it allows the light to pass but it traps the light in your skin by preventing light refraction making your skin glowing and radiant specially when a source of light beams to your face. ESHIKO™ is safe. It is not an ordinary mineral silica. It is a hydrated silica. It does not react with the lung tissue. Hydrated silica is listed by the US Food and Drug Administration as “Generally Recognized as Safe”. ESHIKO™ is used just like your ordinary face powder. However, we recommend that you follow the following steps for best results. 1. Wash your face with mild soap and water. Ensure that no peeling dead skin is present by gently rubbing your face with your fingers in circular manner. Use a facial scrub if necessary. 2. Tone your skin. Use a mild toner and gently rub it against your skin using a cotton ball or a cotton pad. Avoid excessive rubbing. 3. Wait around 5 minutes before putting on your moisturizer. Avoid moisturizers that contains fragrance. Use a mild, fragrance free moisturizer. 4. Using a kabuki brush, gently dab a small amount of ESHIKO™ and brush it all over your face in a circular motion. 5. Reapply ESHIKO™ as necessary. You need not remove oil and sweat from your face during retouching as ESHIKO™ works best in the presence of oil and sweat. We highly recommend applying ESHIKO™ using a brush. Applying it with your fingers will prevent proper dispersal of the powder. In case you do not tone or use a moisturizer, kindly apply ESHIKO™ after washing your face when your skin is still damp for it to melt easily on your skin. 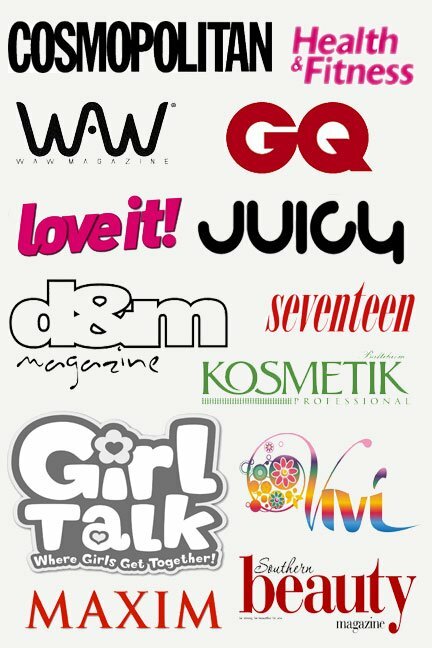 Disclaimer: As with any other cosmetic products, response to Eshiko could vary from client to client. “The way Eshiko gives my skin a unique glow is magical! It gives a good matte and it makes my big pores almost unnoticeable.